Koalas. You know about koalas, right? Cute, slightly vicious, love tickling, delightful little creatures who CAN’T STOP GIVING EACH OTHER CHLAMYDIA. 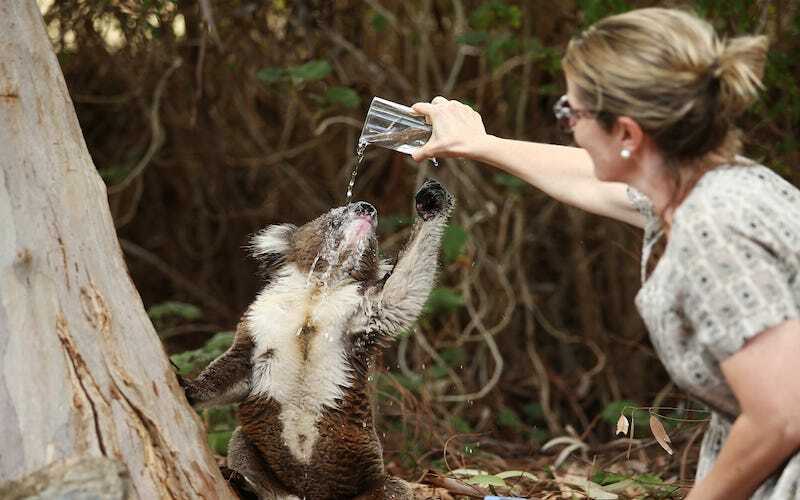 Just like humans, who are also experiencing a rise in STD infections, koalas can’t stop spreading the disease, which causes blindness, infertility, and “dirty tail,” which is when the urinary tract gets inflamed and expands and oh my god, if only koalas could understand PSAs and had access to cash they would buy every damn koala condom on the planet to avoid this. David Wilson, a professor of infectious diseases at the Burnet Institute in Melbourne, spoke with the BBC about his controversial plan to eradicate the spread of chlamydia among these little marsupials. Wilson argues a strategic cull now would help the koala population begin to bounce back in the next 5 to 10 years. Honestly, it’s just not a great time to be a koala. They’re already experiencing severe population declines thanks to deforestation in various parts of Australia and in 2012, were added to the list of endangered species. Antibiotics only help treat chlamydia if it’s caught early enough, and with a housing crisis and a full-time job of eating eucalyptus, it can be hard to remember to schedule an annual. What Will You Wear to the &apos;Imminent&apos; Fall Edition Of Coachella? Will Goats Recover From The Witch? Yes.